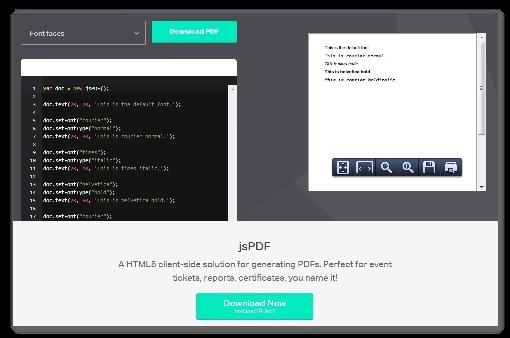 Now you can generate the PDF document through the client side library jsPDF. You can create the PDF using main built-in function such as insert image, insert text with different fonts to pdf etc. Normally user creates the pdf programmatically on the server side that may lead to decrease the performance of your web page. According to its author, jsPDF will work with all major browsers including IE6+*, Firefox 3+, Chrome, Safari 3+, Opera.